He aburu eri awuhu usa. So our elders say. A kindred cannot be said to have insatiable cravings for what it loves to eat. 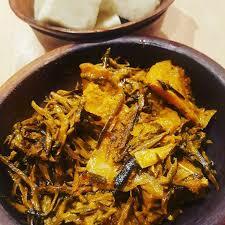 Yes, Owerri people love eating okporoko. They love eating ugba. And they love drinking palm wine. But, must their understanding and their politics seem like the consumption of these delicacies? Mbanu. It should not. However, this is what played out in 2011 that produced Mr. Rochas Okorocha as Governor of Imo State. 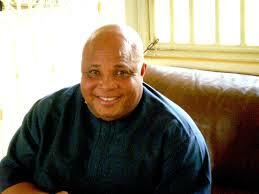 Some people have said that Owerri politicians, from Mr. Martin Agbaso to Capt. 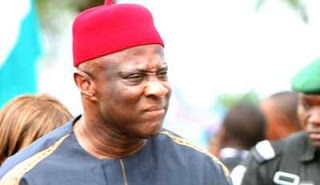 Emmanuel Iheanacho down to the inconsequential Owerri-West, Owerri-North, and Owerri-Municipal “stakeholders” were greedy and shortsighted in the run-up to 2011 gubernatorial election. This cost Owerri zone the ticket of a party, the All Progressives Grand Alliance, (APGA), which was a credible alternative to Mr. Ikedi Ohakim’s Peoples Democratic Party, (PDP), and which was firmly in the hands of Chief Martin Agbaso at that time. At the time, Ohakim was already stained by the false allegation that he slapped a Catholic priest. This made Archbishop A.J.V. Obinna to lead the Ohakim Must Go campaign. Agbaso was settled so that he could step aside for Okorocha. People believed he was paid, and he got his younger brother, Jude, to become Deputy Governor. Capt. Iheanacho, who was in PDP then was relieved of his duties as Minister of Interior for anti-party activities, including support for Okorocha. are making Owerri people in particular and Imolites in general to remember where the rain started beating them. Sure, it started beating them when Agbaso surrendered his ticket to Okorocha. This is the truth! Had Agbaso not surrendered the APGA ticket to Okorocha, he would have easily won, because the platform was already enjoying mass following. People were endeared to APGA, because Dim Chukwuemeka Odumegwu-Ojukwu was involved. Besides, Agbaso had previously ran on the platform in 2007 and won, but the election was cancelled. In a re-run which he ought not to have participated having won initially and could have successfully contested it in court, he lost to Ohakim. If Agbaso and Capt. Iheanacho had an understanding with Okorocha that he would govern for one term as some people claimed, he (Okorocha) outsmarted them by joining a new party, the All Progressives Congress, (APC), before his first tenure elapsed. Not only did he join a new party, he moved to the new party with the APGA structure that made it possible for him to become governor. This included moving with most of the members of the State Assembly, who won their place with an APGA ticket. have improved Iheanacho's chances of defeating Okorocha or any other candidate for that matter, was dead. So, in spite of his credibility, Iheanacho lost even in his base, Owerri. We’re in a season of “no date for a referendum, no election in Igboland” as decreed by the Indigenous People of Biafra, (IPOB). However, this does not prevent politicians from strategizing for future elections. 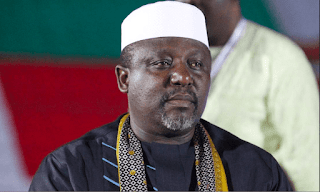 It behoves Imo people, especially Owerri people to unite and present a common front to ensure that come 2019, Okorocha does not continue in office through a proxy. Already, there are serious signs that he is making efforts in this direction. It’ll take some real work by a technocrat and not a politician, to redress the damage he has caused in the state. Therefore, the search for that technocrat must begin now.